Ronda Rousey made some disparaging statements toward Cris “Cyborg” Justino that ruffled some feathers. The UFC champ called Cyborg an “it” and ripped into her for steroid abuse. She claimed that Cyborg has been roiding up for so long; she’s not even a woman anymore. We saw several outraged fans on our Facebook page predict that she would be (at minimum) reprimanded by the UFC, if not suspended for the comments. Well, sometimes the UFC isn’t all that easy to predict. 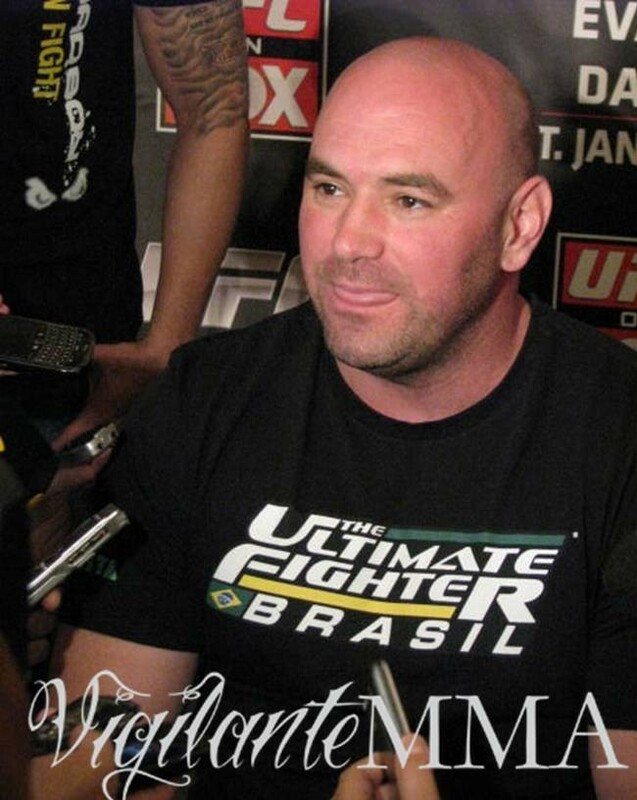 Dana White has spoken on the topic and he was a long way off from scolding Rousey. In fact, he joined in on the ridiculing. He then took it one step further—literally. He got up and imitated Cyborg walking, and claimed she looked like Wanderlei Silva in heels and a dress. So, although he didn’t come right and say it, I suppose the fact that White joined in on the joke; Ronda’s probably safe from being punished in any way. Some of the irate fans on Facebook won’t be happy with that.